How to choose the best mattress for back pain relief? Often times you have felt that after an irregular night sleep the body begins to ache. But have you ever tried to sort out that why is it happening? Now the reason can be anything but the most obvious reason is the wrong sleeping posture or you may be sleeping on too soft mattress? Honestly it is your mattress which is not aptly designed to support your spine especially when you are sleeping. Therefore, to rescue you from the problem, here we’ll learn about some tips on how to pick the best mattress for back pain relief. Whenever you are picking any branded mattress the first thing you should look for is its durability. As per experts an average usability year expands from five to seven years. Now the moment you begin to feel any excruciating back pain remember it is an alert that time has come to change that. Next before investing a penny on a mattress make sure that it should be firm enough to support your spine. Otherwise a mattress crafted from soft made cushion won’t allow the muscular bones to withstand the pressure. But a firm mattress relaxes your veins and arteries allowing the muscles to respond flexibly. The next point that you should follow is how well the mattress contributes to the spinal cord alignment. 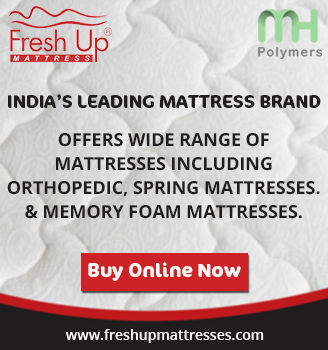 When you look for this particular quality just confirm whether the mattress releases your pressure points. Moreover it promises to well protect your spine by allowing it to rest on a proper position. Certainly when you talk about the support it does not take into account whether the mattress is hard or soft. But here you have to know that a firm mattress will be a benefit for your spine as it focuses on the pressure points. A soft can make your spine a little curved therefore while choosing be sure regarding this feature. Most of the time buyers won’t actually look for the material it is made of. A mattress composed of PU foam of high density, the high resilience foam, memory foam and the springs can assure you’re the best sleep. You must be wondering why not coir or latex? Coir mattresses are hard and don’t take the shape of your body resulting in pressure points generation and not letting you sleep like a baby. The fabric material is another component that is often overlooked. The fabric cover is the first component the body comes in contact with. A fabric which is breathable, have a heavy GSM and is soft in touch will provide a pleasant feel and prevent sweating. You should first be aware of your sleeping position. Ask yourself the following questions before purchasing a mattress online or offline. Am I a back sleeper/side sleeper or Stomach sleeper? Am I suffering from any type of back or shoulder pain? If yes, then a firm mattress is the right one for you. If you sleep on your sides, a medium/ neutral firm mattress is appropriate for you. If you are a stomach sleeper (unhealthy position), a soft/ medium-soft mattress will provide the appropriate cushioning. 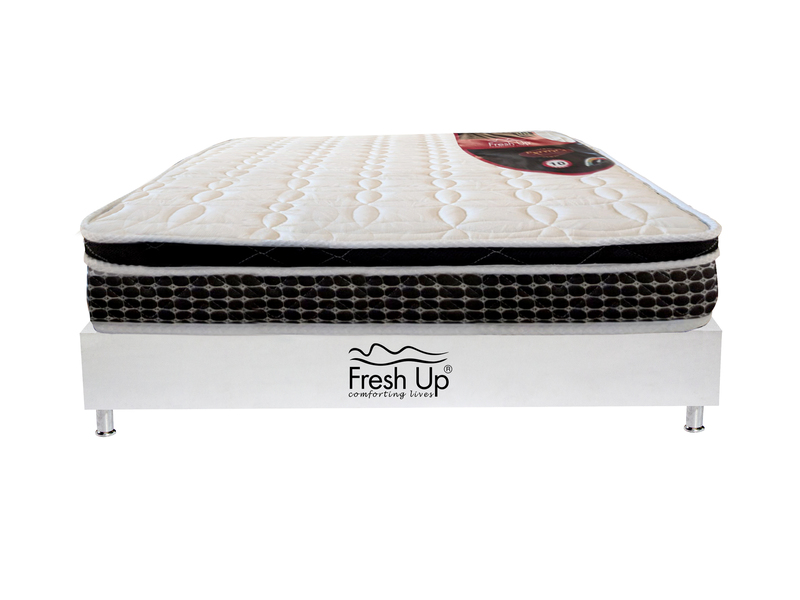 Why should you choose fresh up mattress for back pain relief? The company fresh up is quite concerned about your spine. In fact they believe that it needs the right support so that you can sleep comfortably. In this context, they brought the Exotica orthopedic mattress which is also renamed as firm type of mattress. This kind of mattress provides amazing support to the back, shoulder. In fact it releases the aching from minute pressure point zones, providing relief from back pain thus allowing you to enjoy an aligned spine. Therefore you can have this mattress without any second thought because it promises to offer a sound night sleep. Fresh mornings on the way!